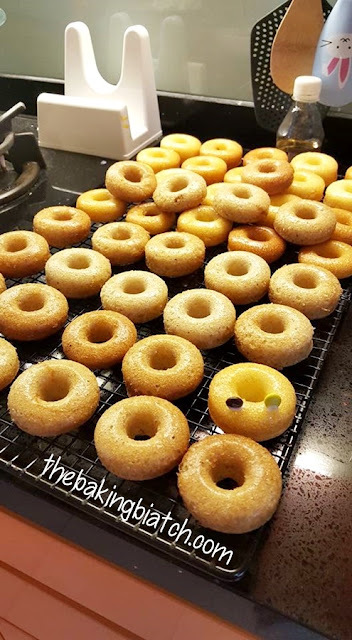 Earlier this week, I had the hubby buy me 2 mini donut trays for my belated Christmas present.. 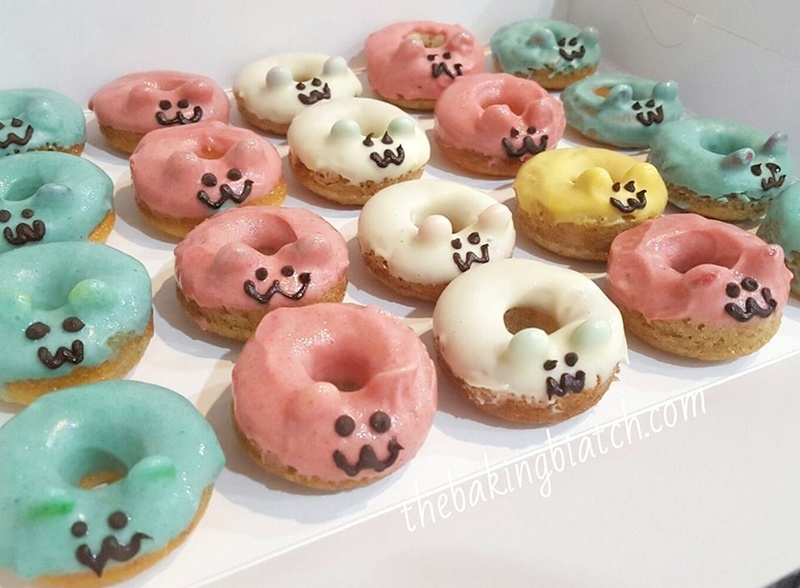 I remember seeing really adorable donuts online.. and wanted to bake them for the party we had. Boy were they difficult to frost! I wanted them to be like really really cute. Nevertheless, they're tasty and they do taste more cake-like than donut (fried) like.. 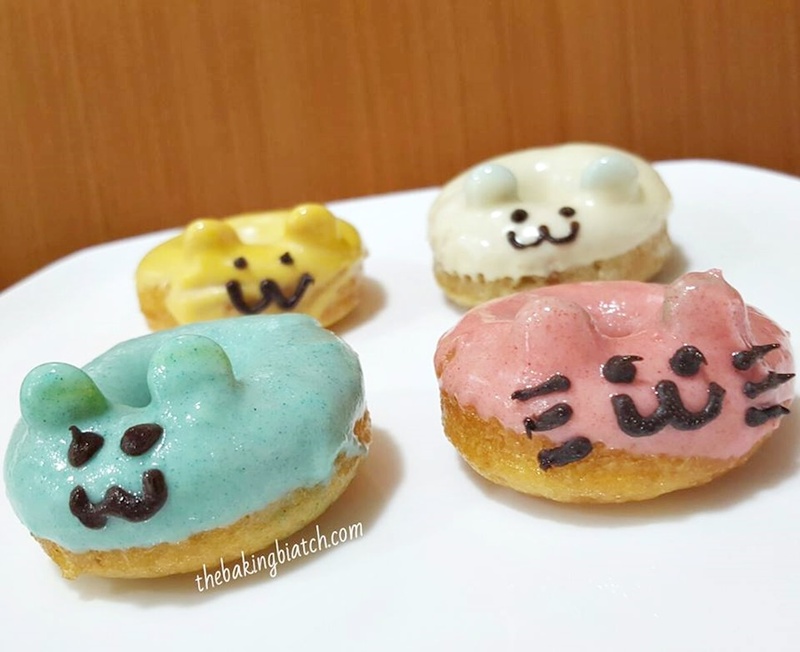 I'd rate the basic donut (with simple frosting) a difficulty level 3 out of 5! 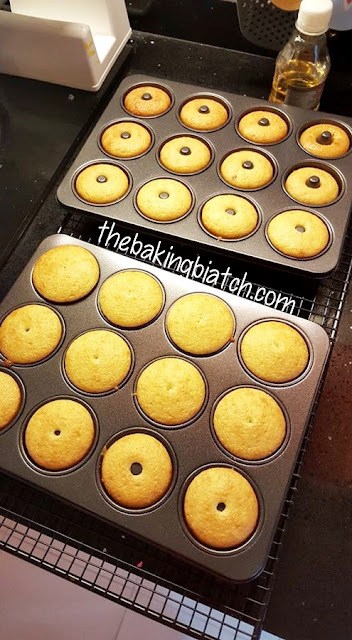 It'll take you about an hour to bake and frost them (without decor). 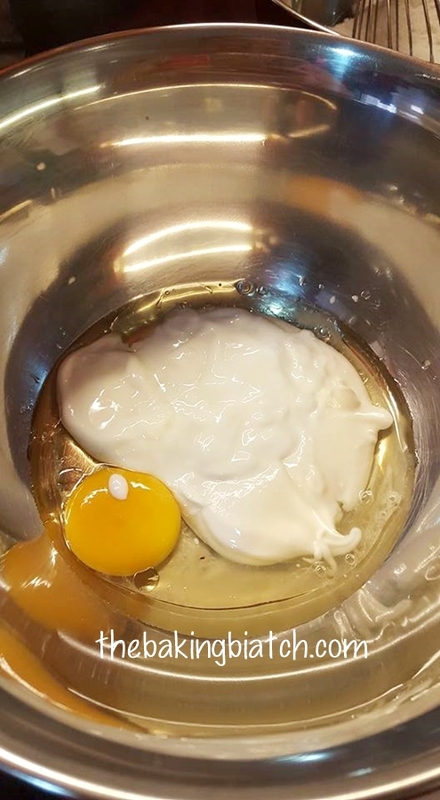 **you may use plain yoghurt or flavoured yoghurt. 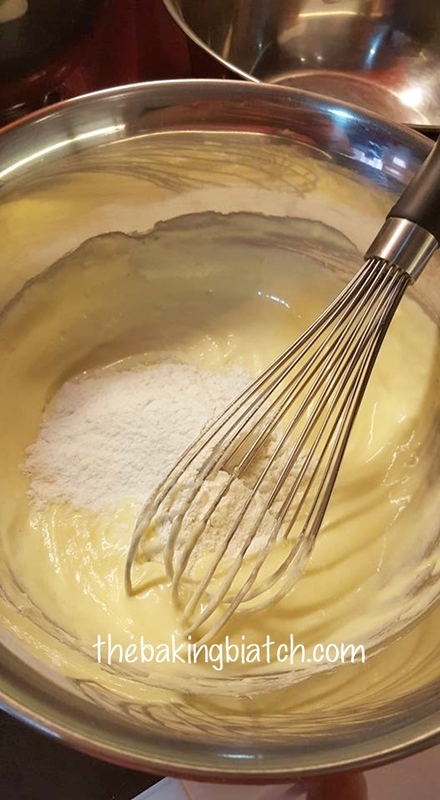 Place all the dry ingredients in a bowl and whisk well. 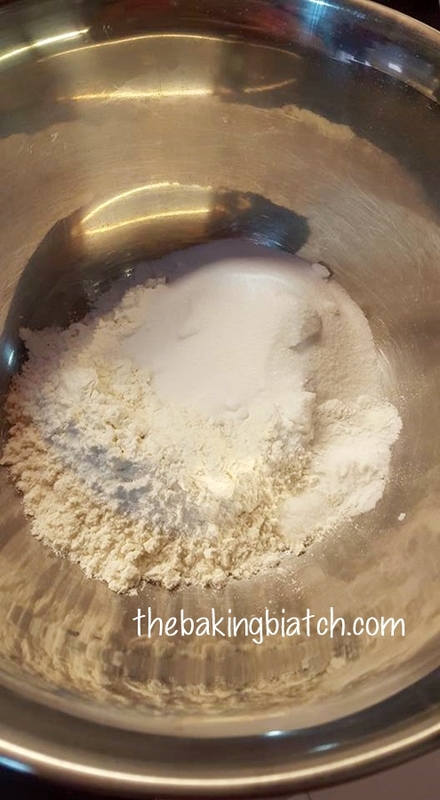 Place all the wet ingredients in another bowl and mix well. 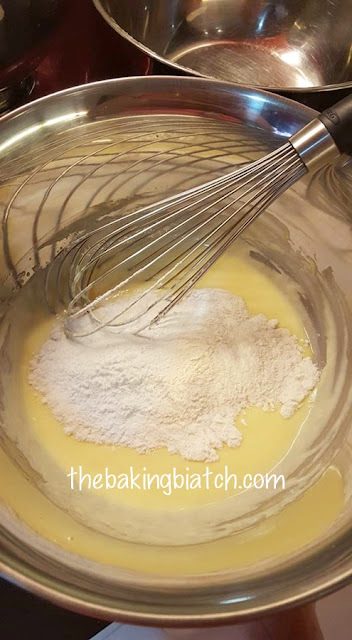 Add in half the dry ingredients and whisk well. Add in other half and mix well. 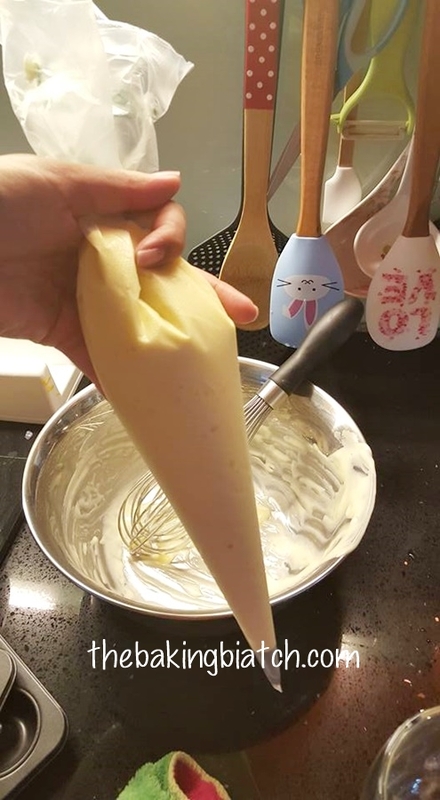 Scoop batter into piping bag. Pipe batter into tin. Mine is non-stick so I did not oil it.. 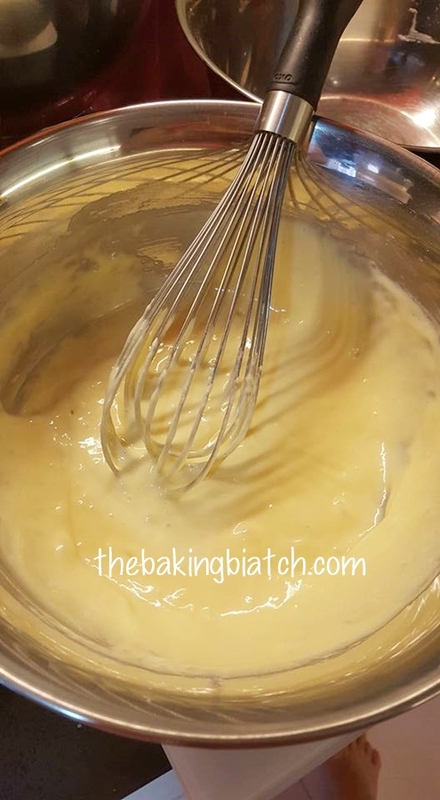 If yours isn't non-stick, spray some cooking oil on the tin. Fill the batter about 1/2 way up. 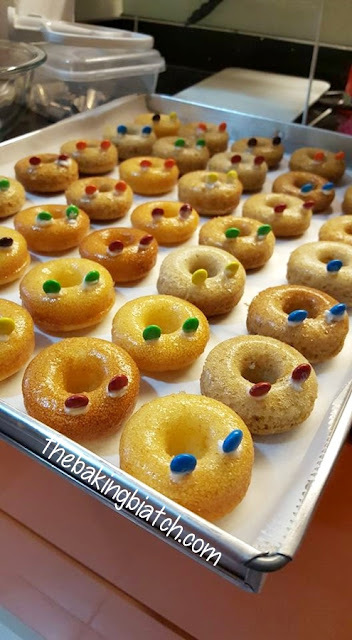 If you fill it with too much batter, the donut will be too fat. 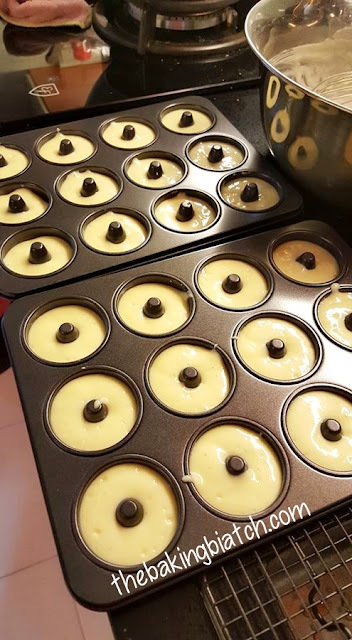 In a pre-heated oven of 200 degree Celsius, bake for 12 - 15 minutes. I tried a second batch with strawberry yoghurt. It smelled soooooooooooooooooo good! Though visually it didn't look as pretty... but with frosting, it'll all be covered up. 4 dozen of donuts! Allow for donuts to cool in tin for 3-5 minutes before removing to cooling rack to cool completely. 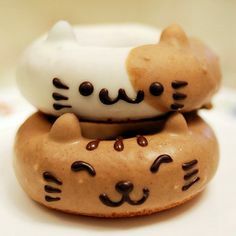 If you wanna add ears to your donuts, you can do so by melting some compound chocolate and sticking mini M&Ns on it.. allow the chocolate to set in the refrigerator. Dip the donuts into melted compound chocolate/candy melts and allow to cool/harden. Melt some dark compound chocolate for the features. 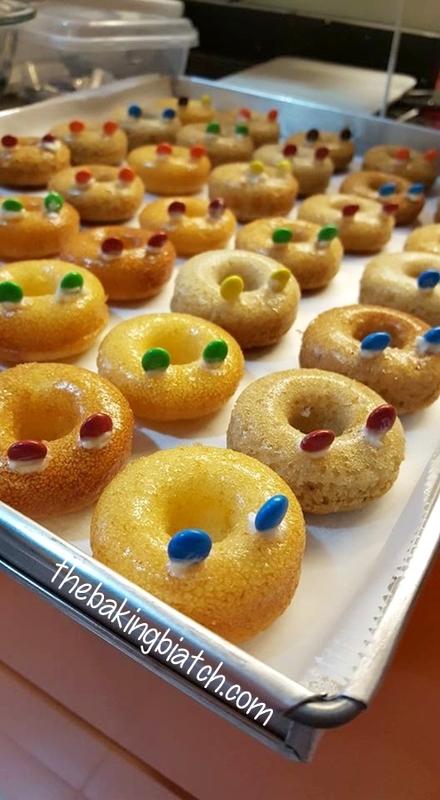 Pipe them using a piping bag and Number 0 or Number 1 tip. Just want to say I really like your blog. 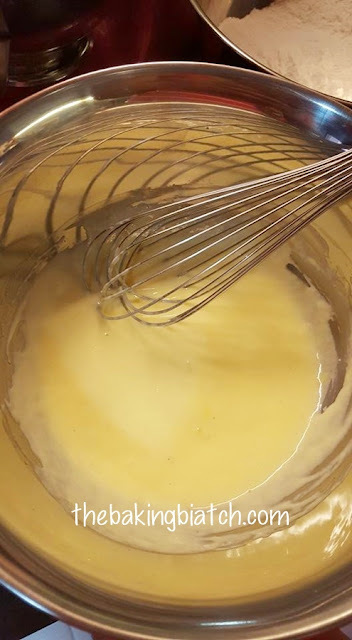 Thank you for sharing the recipes. Love your recipes and your creativity. Thank you Cynthia! 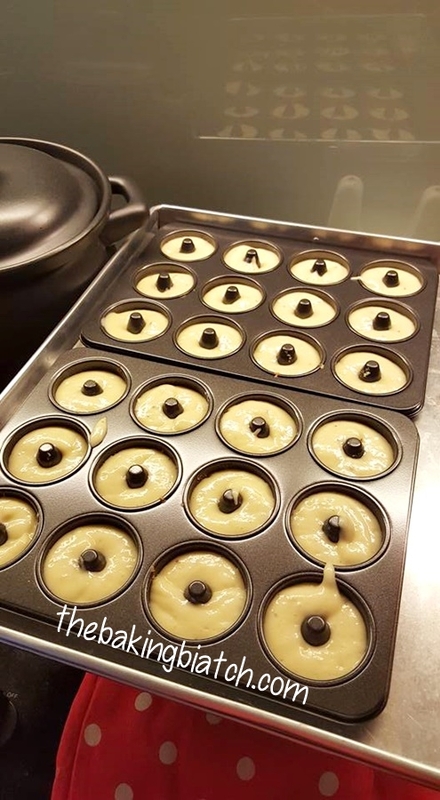 Love your recipes and creativity. Thank you for sharing Cynthia.